Dr Isabella Maria Costa da Cunha at Santo Amaro University, São Paulo, Brazil and colleagues have reported a case of acute kidney failure induced by ciprofloxacin. The case has been published in the Annals of Clinical Case Reports. Ciprofloxacin is a widely used quinolone for the treatment of gastrointestinal, respiratory and genitourinary tract infections. 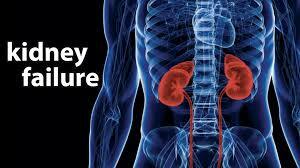 Rarely it may induce an acute kidney injury is as an adverse effect. The ciprofloxacin-induced crystal nephropathy or acute interstitial nephritis has a good prognosis if it is discontinued. of the drug. According to history a 21-year-old young woman presented with a history of allergic rhinitis and recurrent nephrolithiasis and sought medical care. She was started on ciprofloxacin 500 mg twice daily. After seven days of treatment, she came to the hospital with persistent abdominal pain and nausea, vomiting and periorbital oedema. On examination, she was afebrile, was in good general condition, with normal cardiovascular and respiratory exams, and there was no evidence of sepsis. Her laboratory tests on admission were: creatinine 6.8 mg/dL, urea 89 mg/dL, potassium 4.7 mEq/L, sodium 137 mEq/L and the urinalysis showed 2+/4 proteins, 75,000 white blood cells/mL, 144,000 red blood cells /mL and no crystals. Her renal function worsened on the following four days, and she had oliguria, an increase of serum creatinine (up to 16 mg/dL), and serum urea (up to 180 mg/dL) and hyperkalemia. Hemodialysis was initiated and pulse therapy with methylprednisolone was performed for three days, being subsequently replaced by prednisone 1mg/kg/day. Except for the presence of nuclear dots ANA in low titers, the whole search for secondary glomerulopathies was negative. The patient underwent hemodialysis for a few days and after two weeks of hospitalization, the patient was discharged, with normal levels of serum creatinine and urinalysis without protein, leukocyturia or hematuria. As there was complete clinical and laboratory remission, no renal biopsy was performed. Intravenous hydration and ciprofloxacin suspension were performed. The hypothesis of acute interstitial nephritis, rapidly progressive glomerulonephritis or kidney failure by crystals of ciprofloxacin was considered. The patient evolved with severe renal impairment and hemodialysis was initiated. Because of the presence of hematuria, proteinuria and leukocyturia, she was diagnosed as presenting a rapidly progressive glomerulonephritis. The complete remission of clinical and laboratory findings after withdrawal of the drug pointed to a reversible cause of acute kidney failure. Carry home point is that the clinicians should be aware of this potential complication of ciprofloxacin use and renal function should be closely monitored.